Do you want to design your own ring for a wedding, a religious milestone, a birthday or any other occasion? If you answered yes, come to Jewelry Design Gallery. In business since 1984, our jewelry designers use the latest in CAD/CAM technology and expertise, offering the best custom ring design in the area. Jewelry experts from repairs to design and creation, we live and love everything that sparkles and shines. 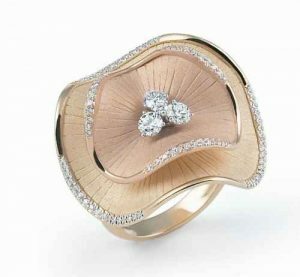 Just ask our over 50,000 clients as to why they come to Jewelry Design Gallery! Our friendly high-level expert staff uses the latest printing and CAD/CAM technology to create custom made rings for couples and individuals that speaks to each client’s heart and vision. Using the latest technologies, our designers work one-on-one with our clients to create breathtaking custom made rings, from the wax to setting the stones to create your jeweled vision. All it takes if you’re longing to design your own ring is a sketch, a photo, magazine images or your own imagination and one of our designers to bring to life the ring of your dreams custom made rings that are one of a kind, truly! To learn more about how we create custom made rings, call us at 732-536-1184 or visit us today to experience the Jewelry Design Gallery difference.